While you may grab for the plunger any time a plumbing problem pops up, tackling certain issues without professional assistance could lead to a larger mess or even damage or destruction of your home’s plumbing. Taking into account certain issues that elicit the help of a professional can help you know when to call Curley Plumbing, which is a company that offers residential plumbing services in Manhasset. Most toilets overflow every once in a while. However, if you’re constantly having to plunge the bowl, a larger problem is likely in the works. For example, the pipes may be clogged too far down or too intensely for a simple plunger to have any sort of long-term effect. When you go to take a shower, you should not find that the water from yesterday’s bath is still sitting in the tub. Whether your sink or your bathtub is retaining water beyond a normal amount of time, hiring a professional is pivotal. In the event that work is going on in the area, you may discover that the water in your sinks and toilet is temporarily brown. This problem should not persist under normal circumstances. A protracted period of brown water could indicate problems with the piping, such as an excess of rust. A buildup of soap, toothpaste and other materials can lead to the production of bacteria. When these elements combine together, you can discover black sludge coming up from your drains. In some cases, the problem may elicit a simple solution; in others, you may need to replace some of the pipes. If you’re constantly finding yourself racing to finish your shower before the water turns cold, a problem may be at works with the hot water in your home. Instead of having to freeze on a daily basis, let the plumbing professionals take care of the problem for you. The thought of accidentally dropping your engagement ring down the sink is likely horrifying. In the event that this incident or a similar one occurs, the plumbers may be able to recover the item for you with little to no damage. Even if you think the leak is small, calling in the experts may revel that the problem is larger than you thought. A leak could be quite obvious, or you may start to notice wet spots appearing on the ceiling. These issues could indicate a burst pipe. Eventually, you may want to replace all of the pipes in your home if your house is old and has an old plumbing system. Failure to do so could mean that you just end up wasting money in constant repairs. Learning how to manage some minor plumbing issues around the house can save you time and money, but that’s not to suggest that you should tackle all issues without the help of a professional. 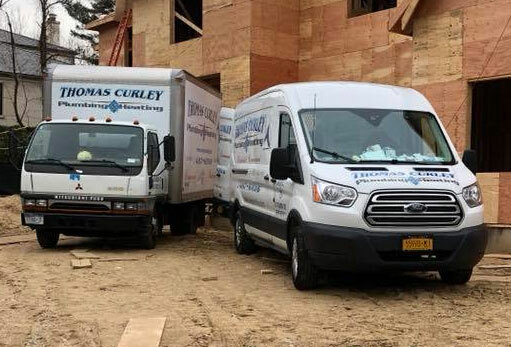 You can procure residential plumbing services in Manhasset by making the decision to call Curley Plumbing. Contact us today!